Thanksgiving is behind us which means that we get a quick break from holiday cooking, until it's time to get back into it come the end of December. During this holiday lull, we've whipped up an easy weekly meal plan that will help you get back into your routine. 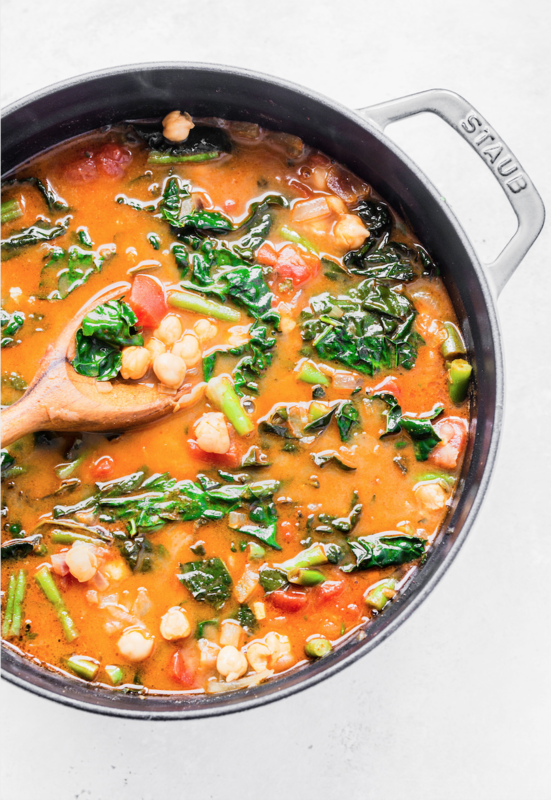 This spicy soup is seriously addicting! Make sure to save some for tomorrow, because it's going to be even tastier the next day. Feedfeed Tip Not a huge fan of the heat? Feel free to omit the peppers to manage the spiciness. 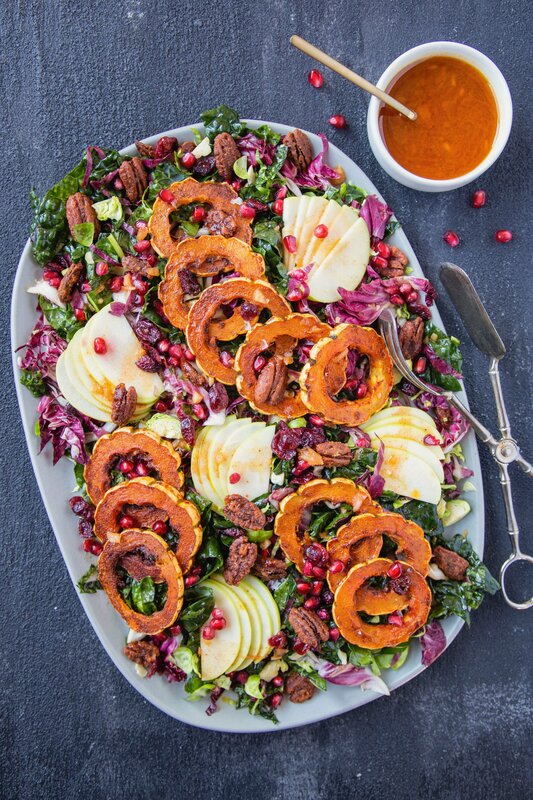 Come for the hearty veggies and sweet apples & pomegranates. Stay for those irresistible spiced nuts! 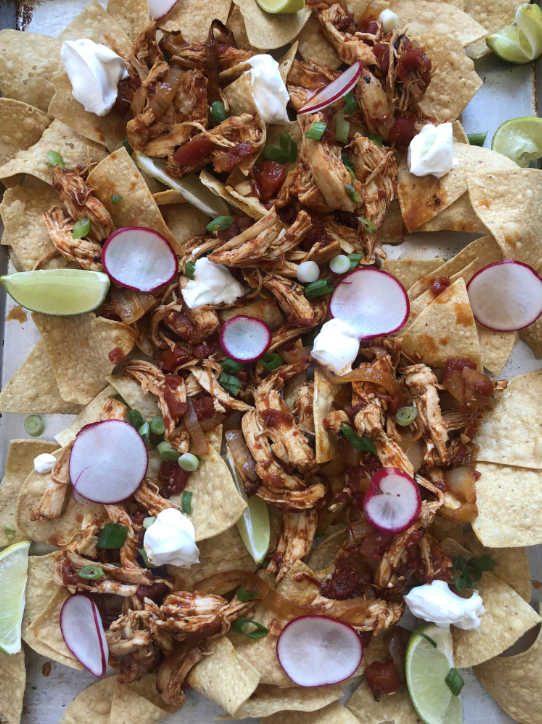 Break out the Instant Pot, because this smoky pulled chicken is no joke. If you prefer, serve this in a grain bowl or in tacos! 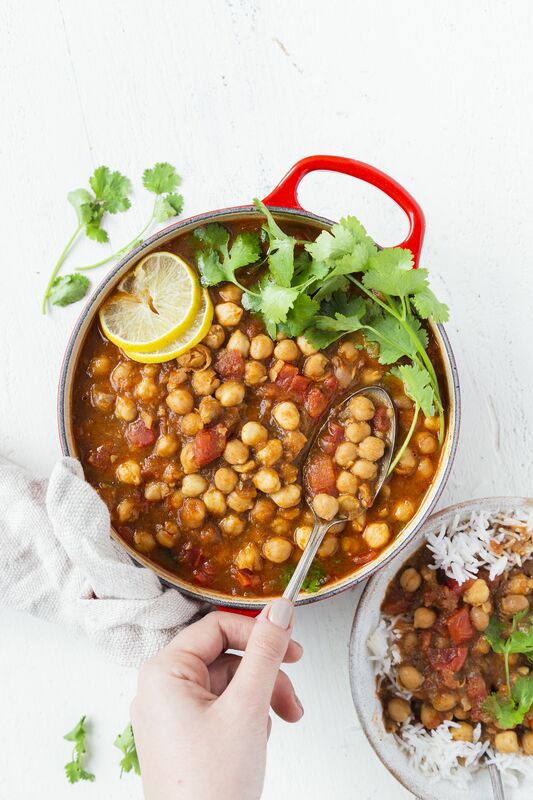 This rich chickpea dish is about to become one of your new go-to dinners. Serve it atop a bed of rice and top it off with a dollop of yogurt and fresh cilantro. 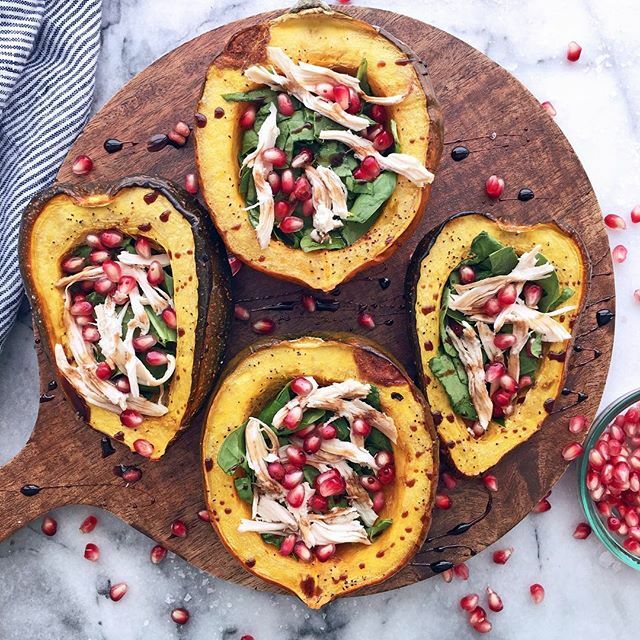 Stuffed squash boats are where it's at, and these acorn squashes with shredded chicken and pomegranate seeds are no excuse! Use your favorite squash or spud if acorns aren't your favorite. 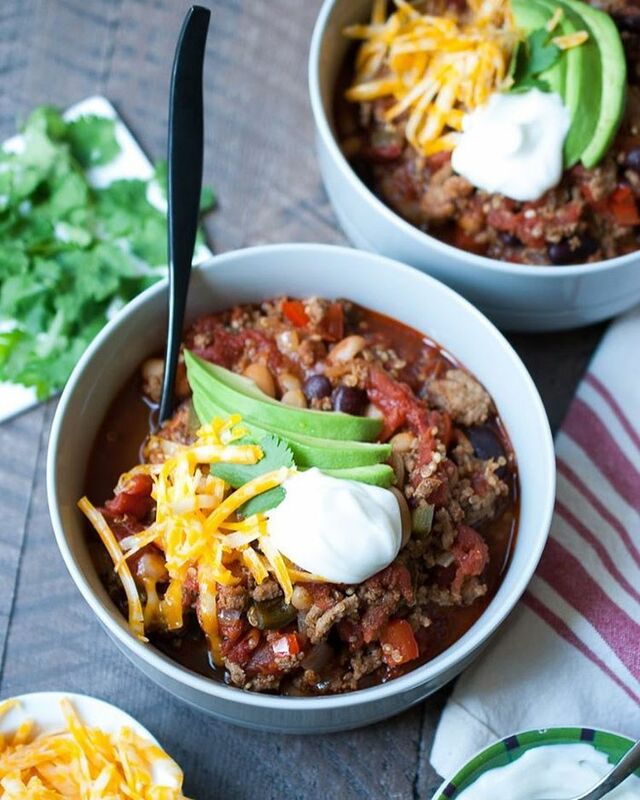 Cozy up to this delicious bowl of chili at the end of a long week. Don't be shy with those toppings, now! Feedfeed Tip You can also make homemade chips by slicing GF corn tortillas into wedges and roasting them at 375° for 10-12 minutes. Invite a couple friends over and serve them this amazing cheeseboard. The more GF crackers, the better! 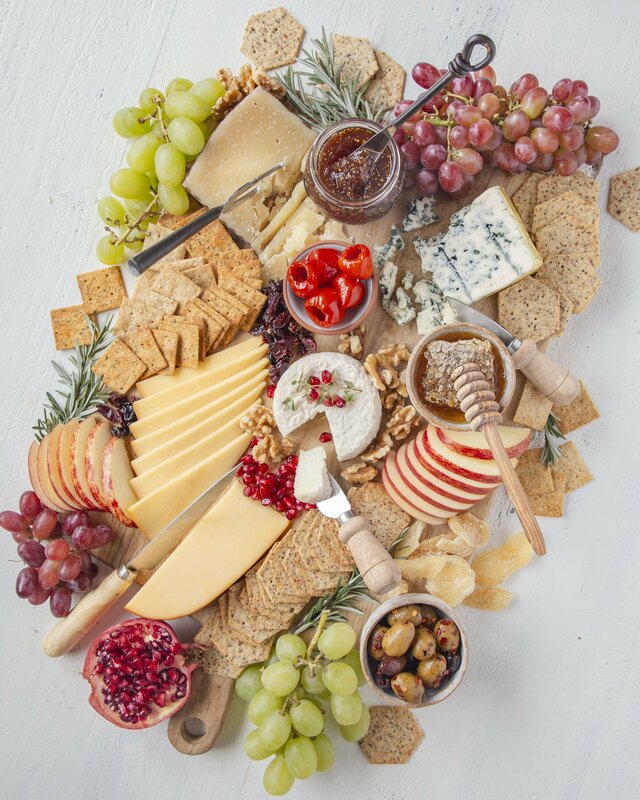 Feedfeed Tip To build the most eye-catching cheeseboard, start by laying down the cheeses throughout the board and fill in the empty spaces with veggies, fruits, nuts, crackers and spreads.